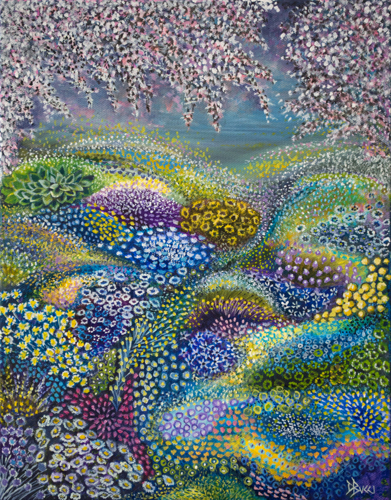 Painted mostly with dots, this gardenscape is about transitions. Sometimes you have to travel through the weeds to get to the sunflowers. The sides are painted so framing is not needed. The art is finished with removable varnish and ships ready to hang.